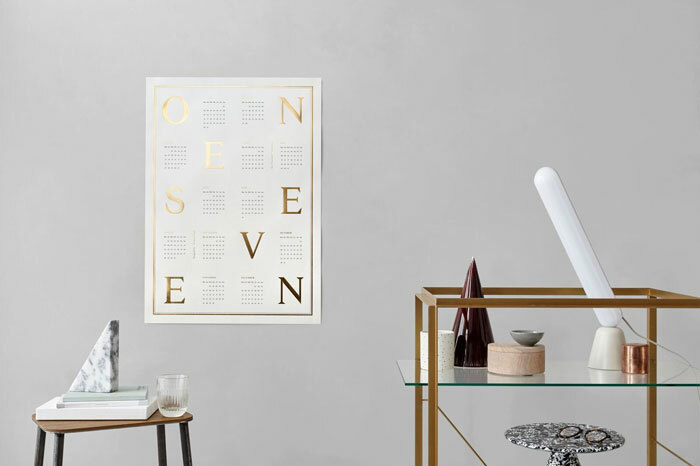 Copenhagen-based designer Kristina Krogh has been making beautiful calendars for some time now, and the year 2017 is no exception! 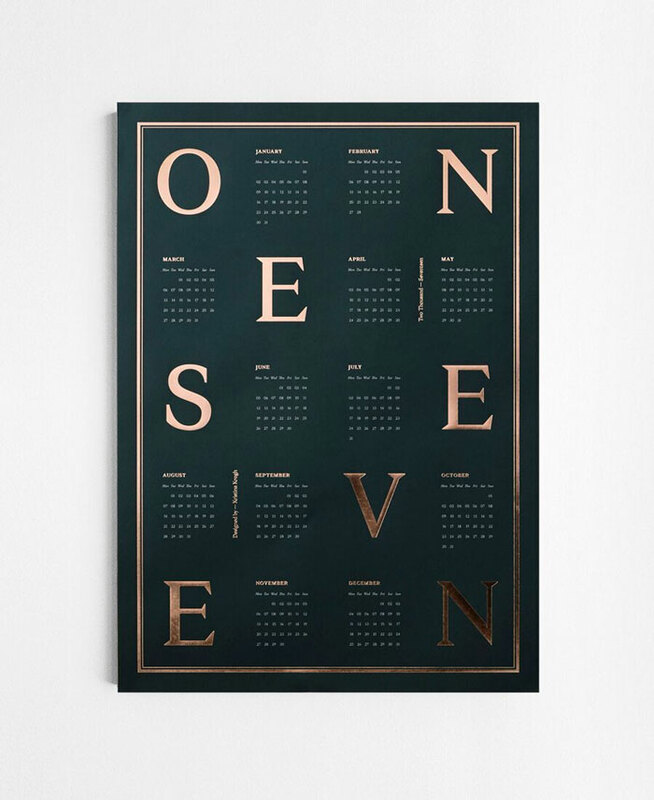 This new edition bears large letters forming the words “one seven” in copper or gold foil typography, on a dark green or light grey background. 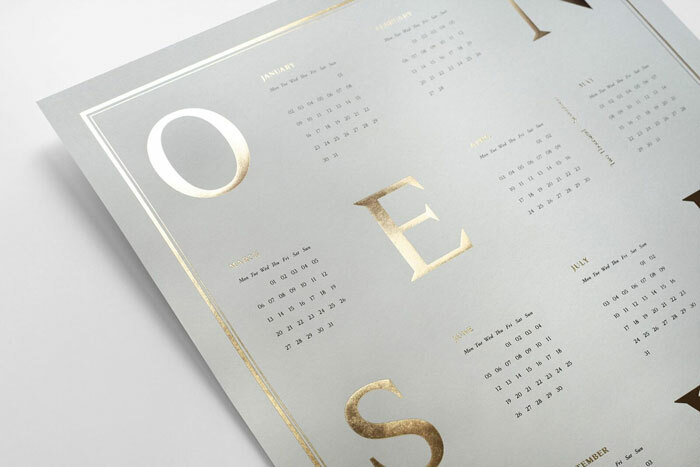 Months and days are visible when you take a closer look at the print, in a delicate font. 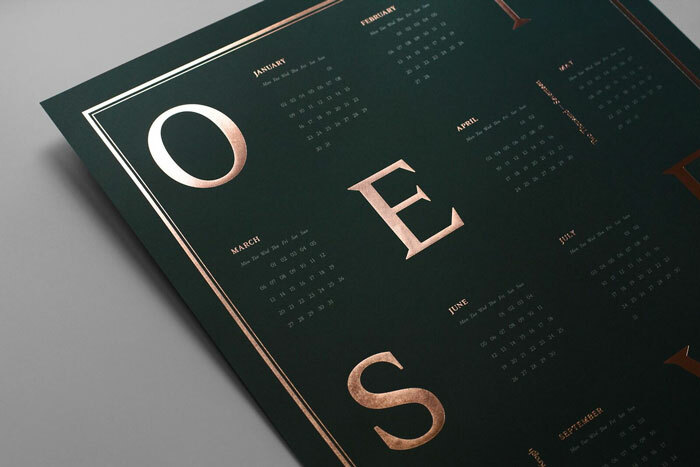 The 50 x 70cm calendars are printed on 175 gsm colored quality paper and fits in most widely available frames. 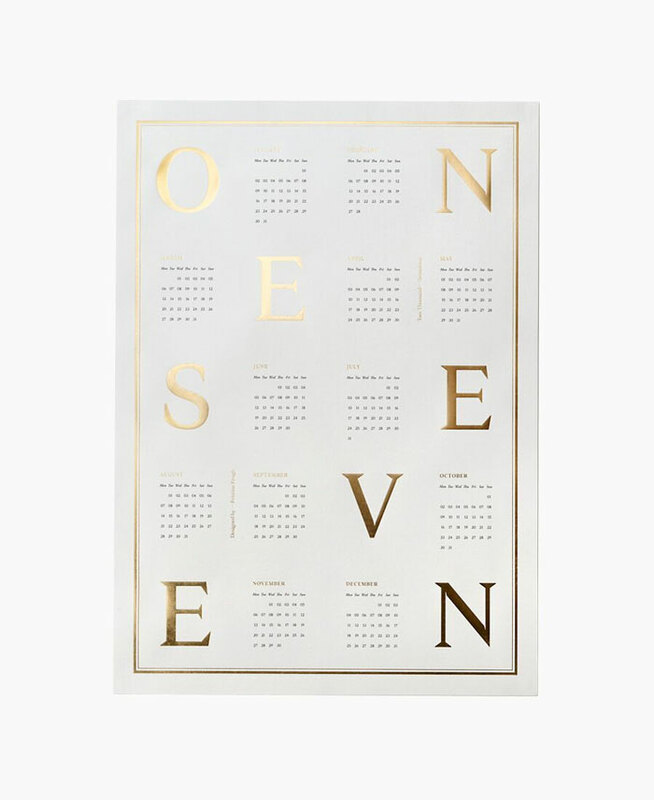 The retail price of the 2017 calendar is 50 euro (about $56) + shipping. You can get it here. 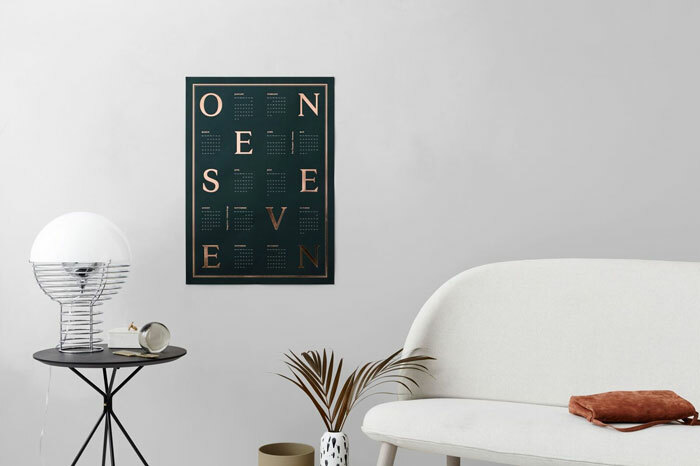 What a great Christmas gift idea (hint, hint)!